Johnston, C.m.. "McMaster University". The Canadian Encyclopedia, 04 March 2015, Historica Canada. 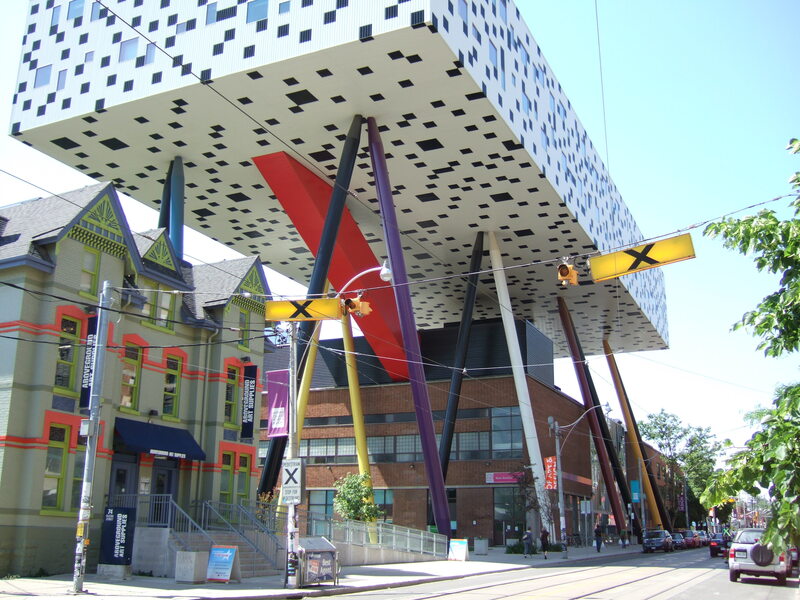 https://www.thecanadianencyclopedia.ca/en/article/mcmaster-university. Accessed 26 April 2019. 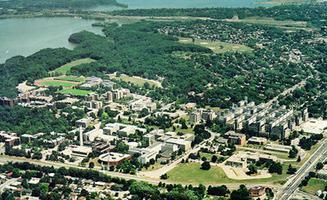 Aerial photograph (courtesy McMaster University). McMaster University, founded in 1887 as a BAPTIST institution, opened in Toronto in 1890 and moved to Hamilton in 1930. Chartered by the provincial legislature, the university was named for William MCMASTER, who bequeathed to it the bulk of his estate. It incorporated 2 older Baptist educational enterprises: Woodstock College (ounded 1857) and Toronto Baptist College (1881). While in Toronto, McMaster had to overcome the opposition of theological conservatives to the instruction it presented. In 1930, under Chancellor Howard P. Whidden, a fresh start was made in nearby Hamilton, which offered an ample setting for McMaster's 500 students and considerable private support from its citizens. This arrangement honoured the traditional Baptist refusal to accept financial assistance from any public body. Although WWII threatened enrolment, the demand for trained scientific personnel in industry and the armed forces prompted feverish activity in the university's laboratories. The war also led to the recruitment of the chemistry department's H.G. THODE for crucial wartime nuclear studies. Stimulated by scientific and technological demands, McMaster underwent a structural reorganization so that it might receive vital public aid, a process directed by George P. Gilmour, Whidden's successor. As a result, Hamilton College was established in 1948 as a nondenominational affiliate which would be eligible for governmental funding. By this time doctoral programs in the sciences had either been implemented or were being planned. Under Thode's leadership, engineering and nuclear studies expanded. A nuclear reactor was constructed on campus, the first such university facility in Canada. In 1957, when it became evident that Baptist resources alone were insufficient, McMaster became a fully nondenominational private institution. The Baptist connection continued, however, through the incorporation and affiliation of McMaster Divinity College. 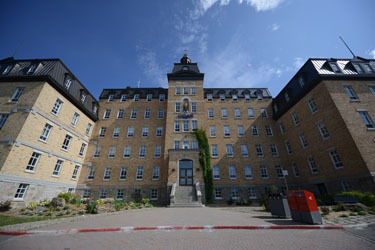 Rapid growth during the 1960s was highlighted by the establishment of doctoral programs in humanities and social sciences, the organization of a business school and the planning of a college of health sciences. In 1967 McMaster, with the exception of its Divinity College, was reorganized into divisions. These have since become faculties and the schools of business and graduate studies: humanities, social sciences, science, engineering, business and health sciences. Enrolment at McMaster University is about 13 800 full-time and 3000 part-time students. McMaster UniversityThe official website for McMaster University. Henry G. ThodeIllustrated biography of Henry G. Thode, distinguished nuclear chemist and president of McMaster University. From the Canadian Nuclear Society.